Handprint Sun-catchers | Who Are You Calling Crafty? I have been trying to get the Booga involved a little more in my art and my crafting stuff. The princess was all about creating art, coloring in coloring books and playing with chalk when she was his age. 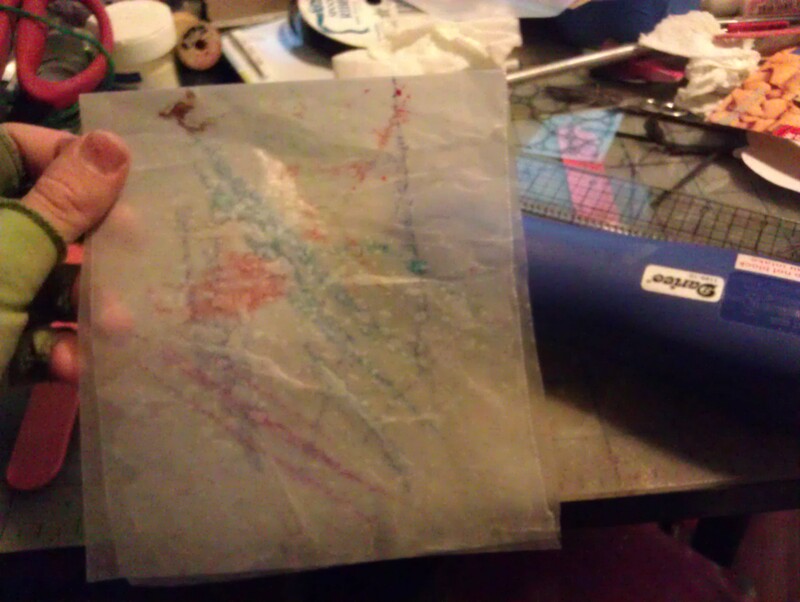 Booga still eats chalk and crayons so it makes creating stuff with him extremely difficult. 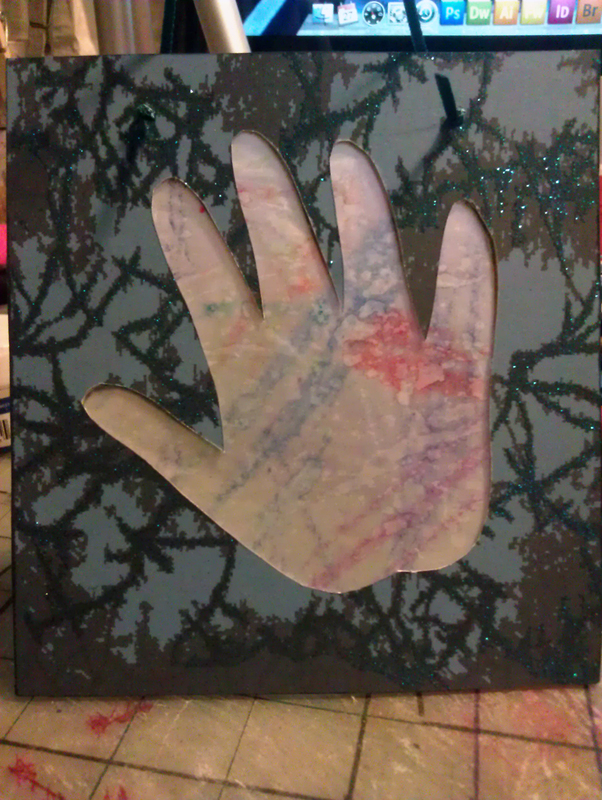 I had the idea for an easy Mother’s Day gift for a grandmother or mom – a handprint sun-catcher. 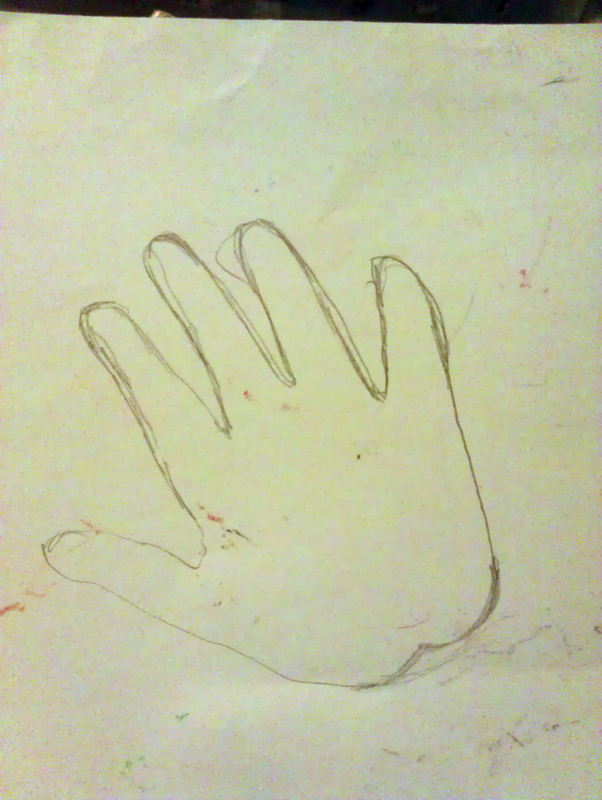 Booga let me trace his hand – YAY! 1. 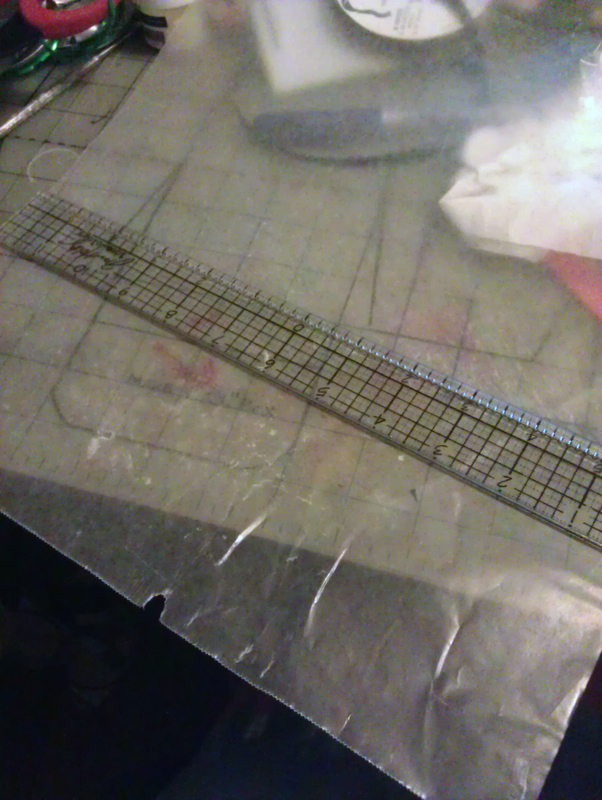 Cut the cereal box to a 6″x6″ square. 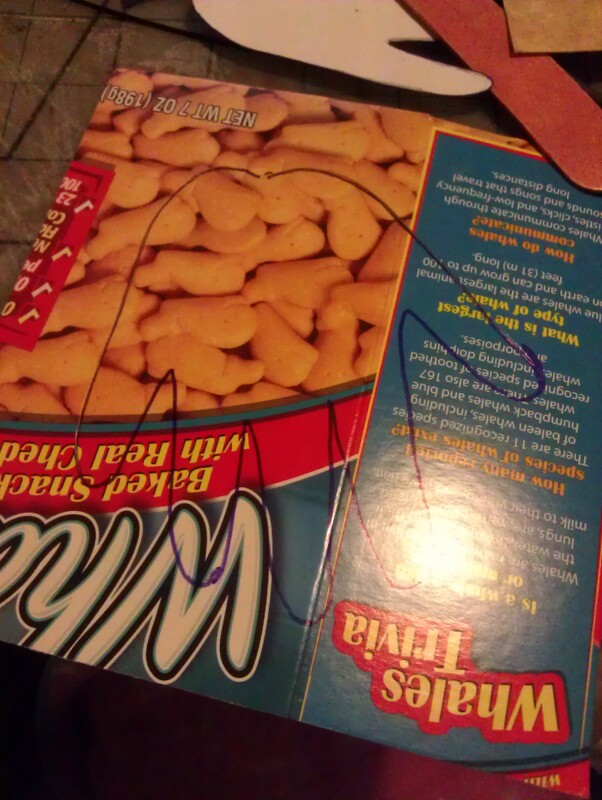 Trace the hand print onto the box. 2. 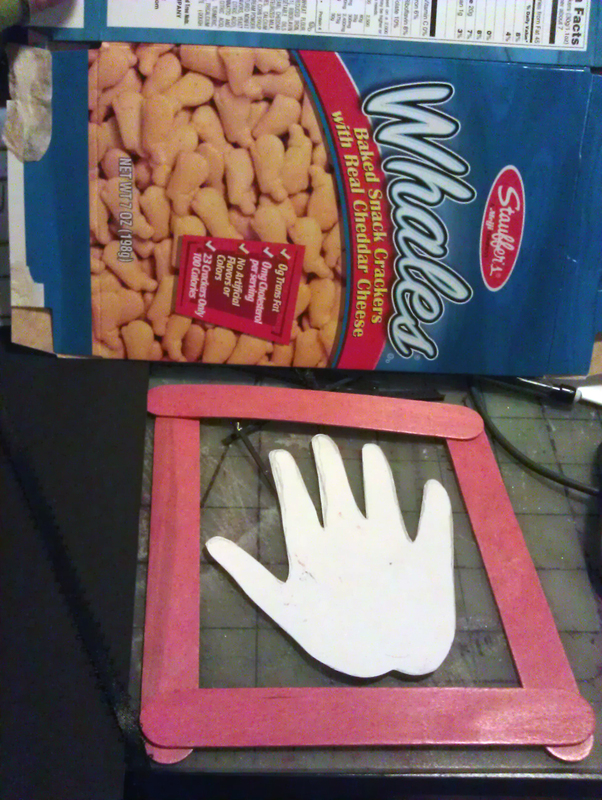 Cut out the hand print with Exacto Knife. 3. Trace the other box (I did cardboard side out – glossy side in). 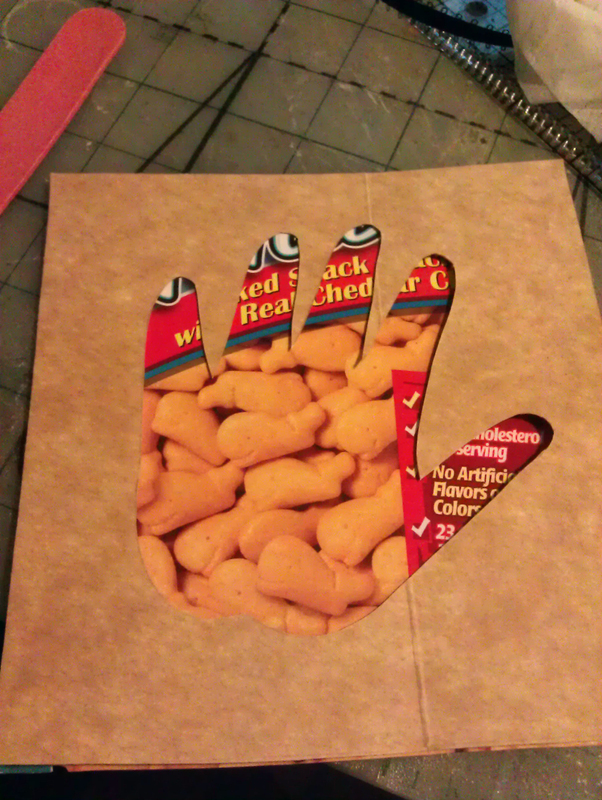 Cut out the other hand print. 4. Cut the Wax Paper 12″x6″. 5. 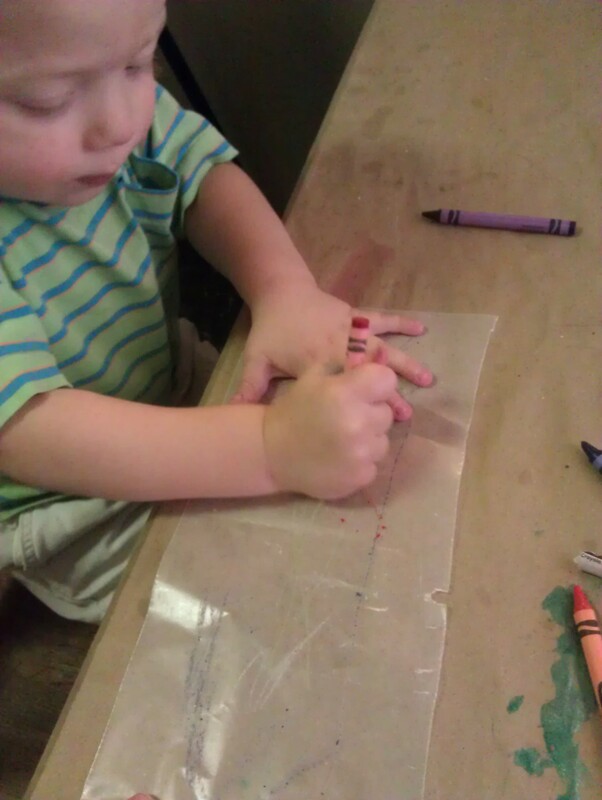 Let child (Booga) color with crayons. 6. 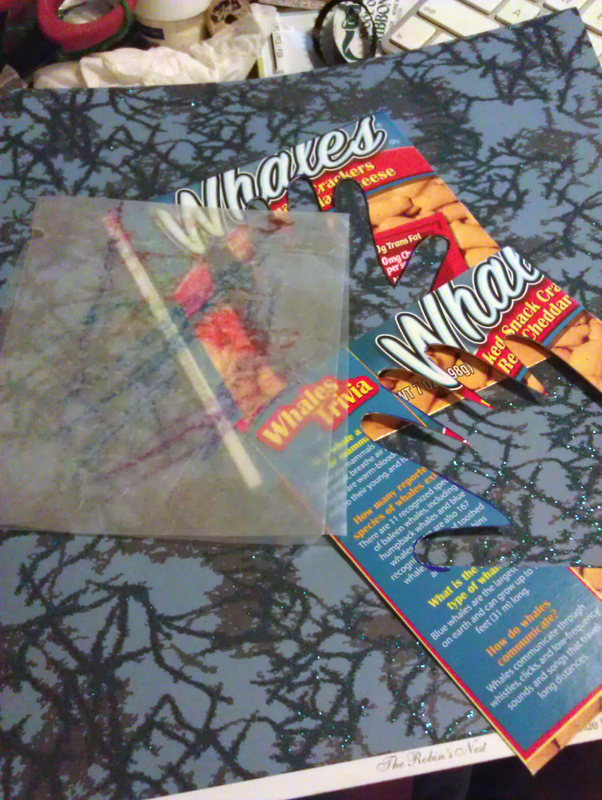 Fold the wax paper in half and take heat gun, fuse wax paper together. 7. 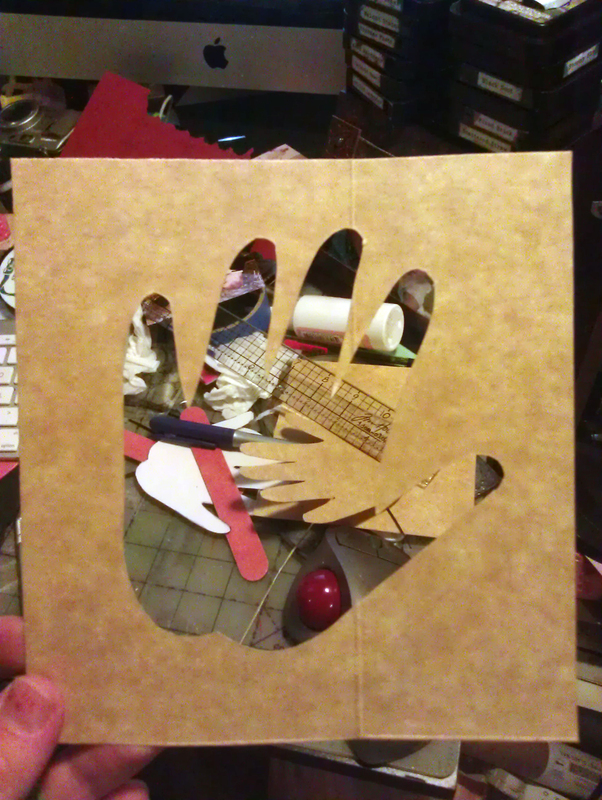 Trace the shape of the box, handprints onto the decorative paper and cut out. Glue to the cardboard side of the box (not the glossy side). Taking the wax paper add glue and sandwich the pieces together. Add ribbon to the top so it can hang. A wonderful easy Mother’s Day Gift for that special lady in your life made with love!